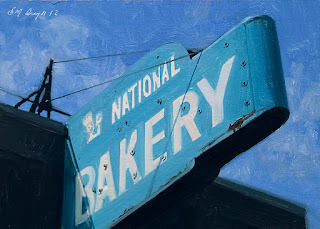 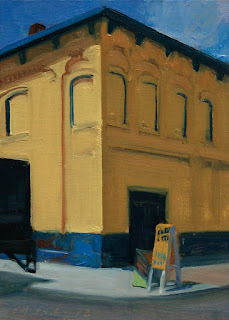 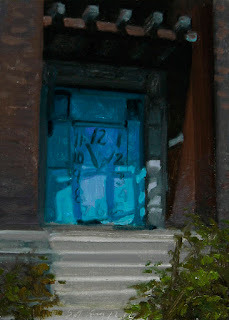 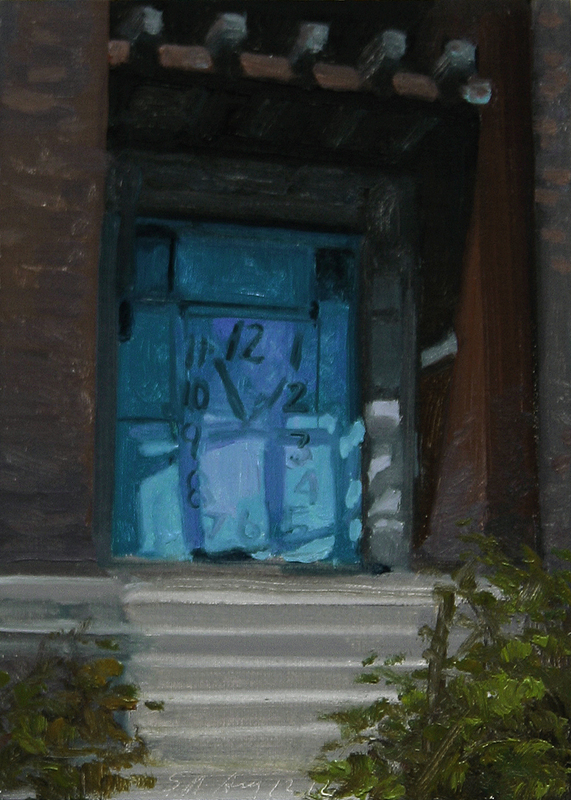 This painting is a view of a Naples yellow corner building in Detroit's Eastern Market. 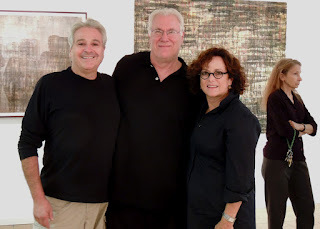 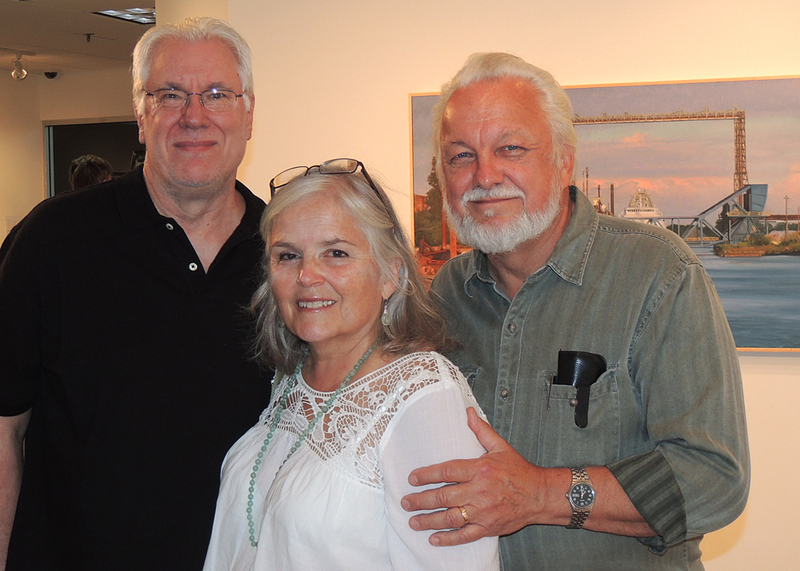 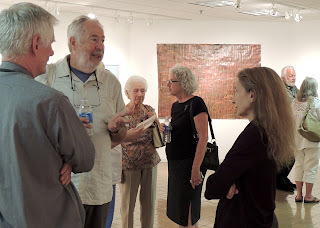 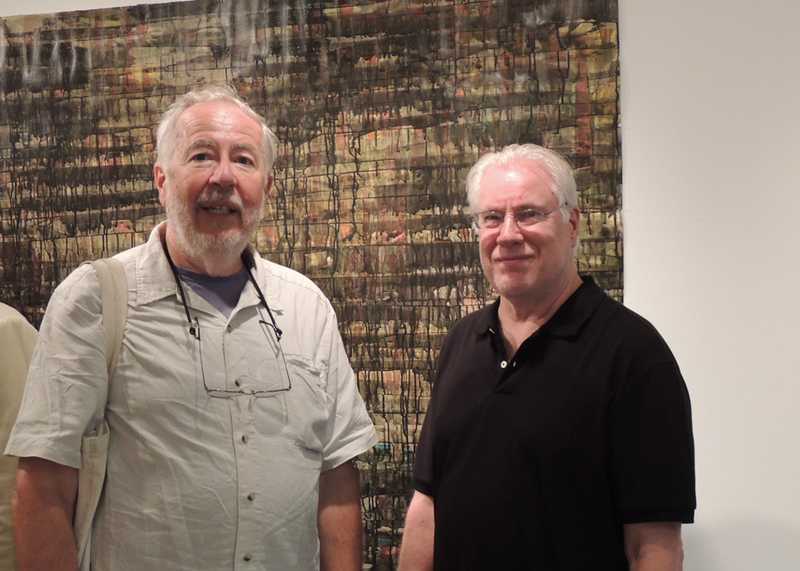 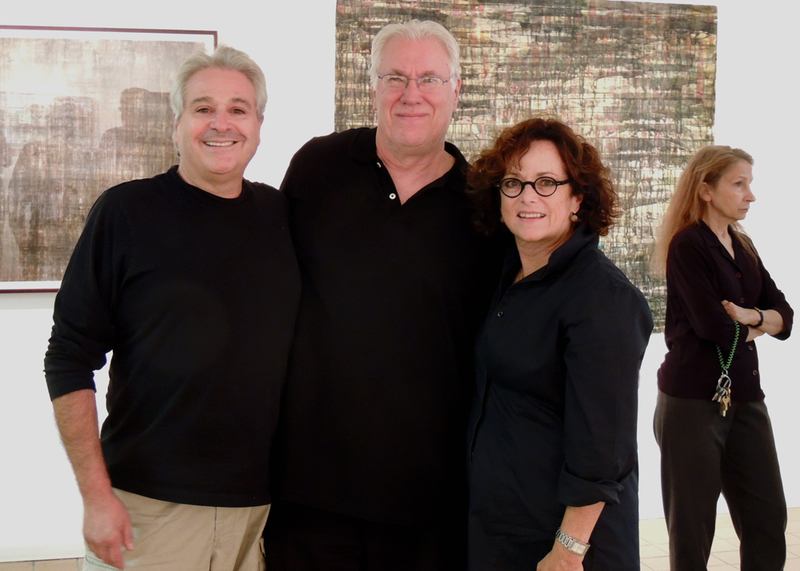 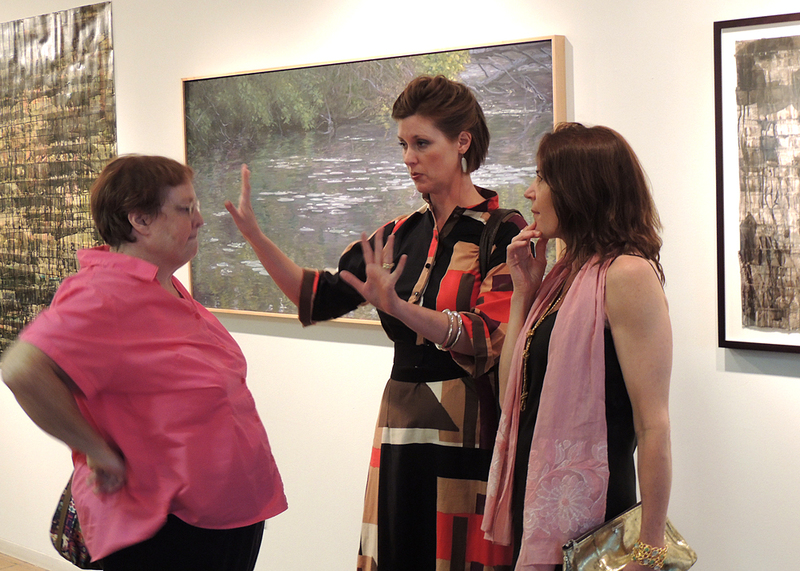 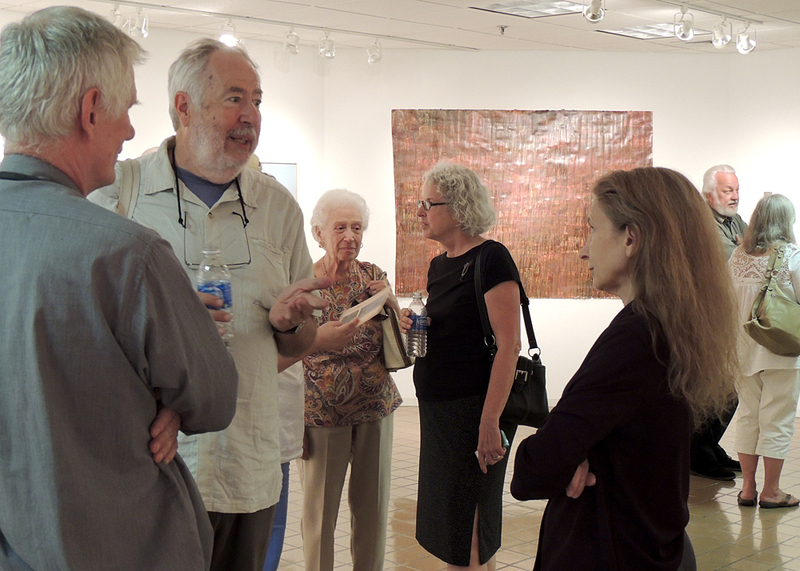 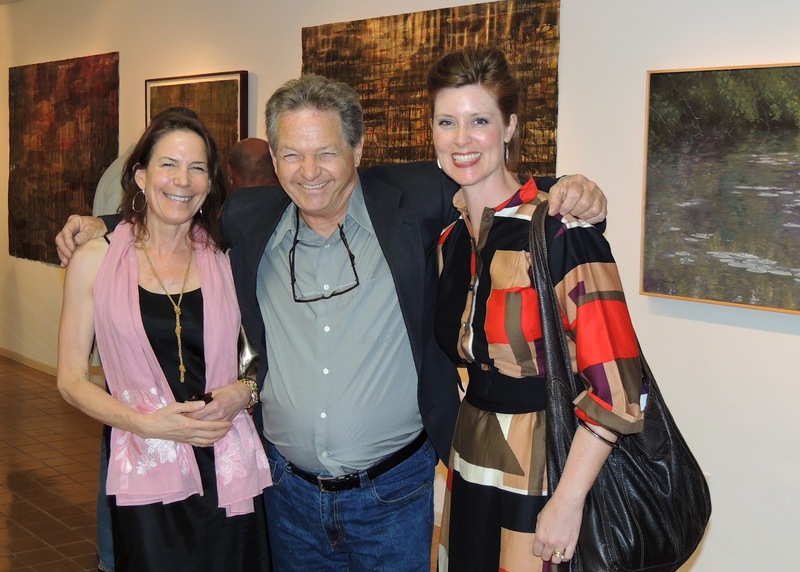 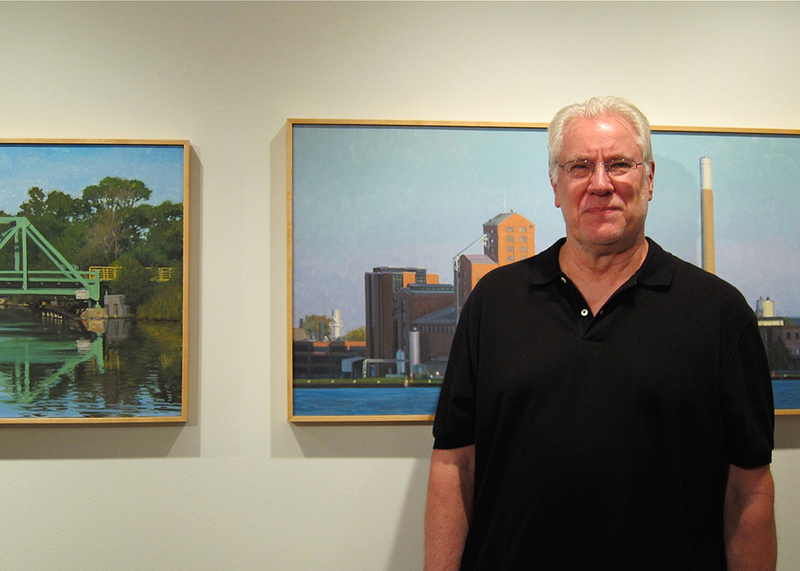 Some photos from last night's opening at The Art Gallery of the Macomb Center for the Performing Arts. Photos courtesy Jack Summers, thank you. 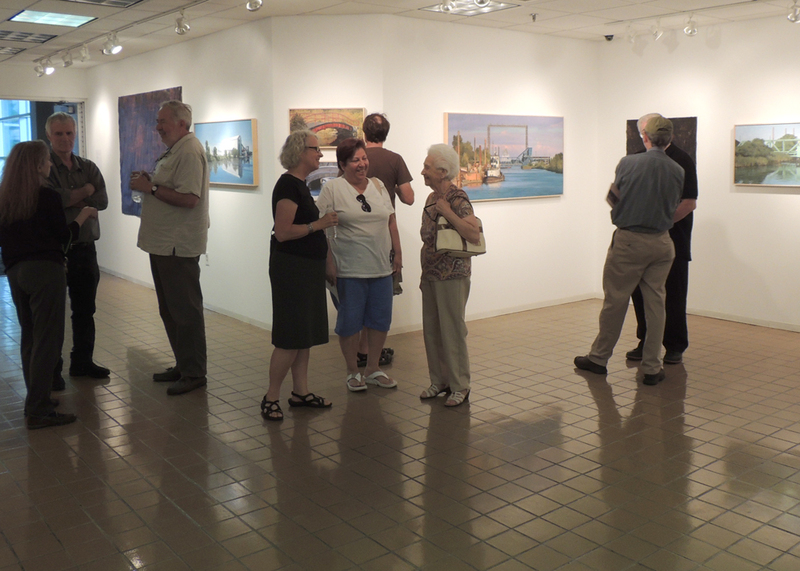 Thanks to all that came out to support the Arts. We had a great time and the show looks great. 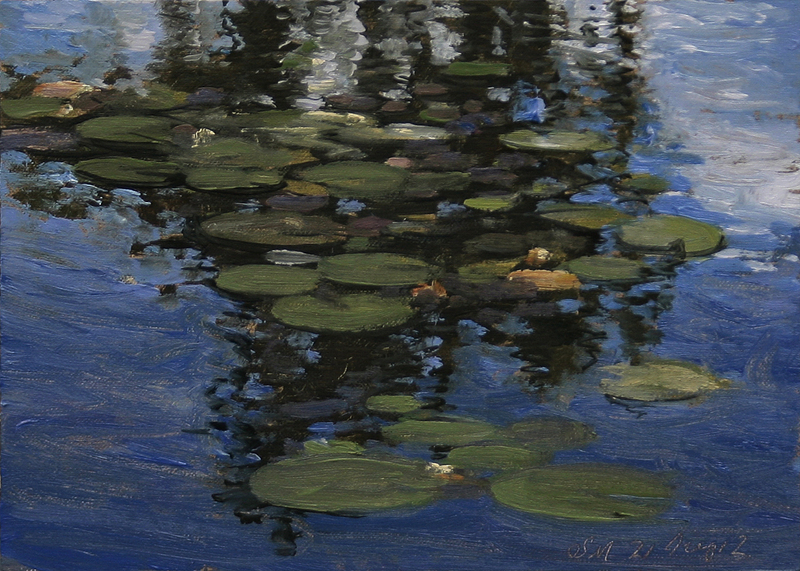 Today's painting is a view of water lilies and sky reflections on Lake Okonoka on Belle Isle Park in the Detroit river. 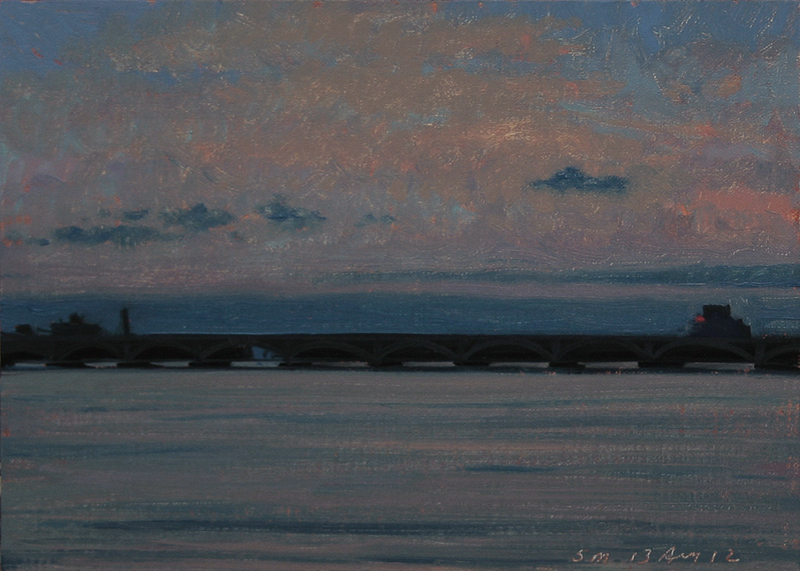 This painting is a nocturne view of the Mac Arthur Bridge to Belle Isle Park. 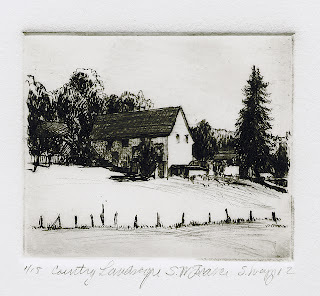 Drypoint with Roulette print on BFK Rives Paper, 2012, 2.5x3" on 7x5" paper matted to 10x8"
This drypoint with roulette print is a country landscape of a French farmhouse. 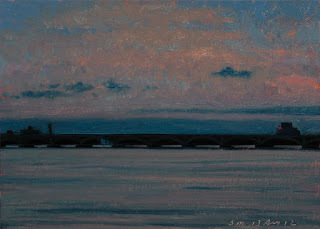 From a trip to France we took a few years ago. 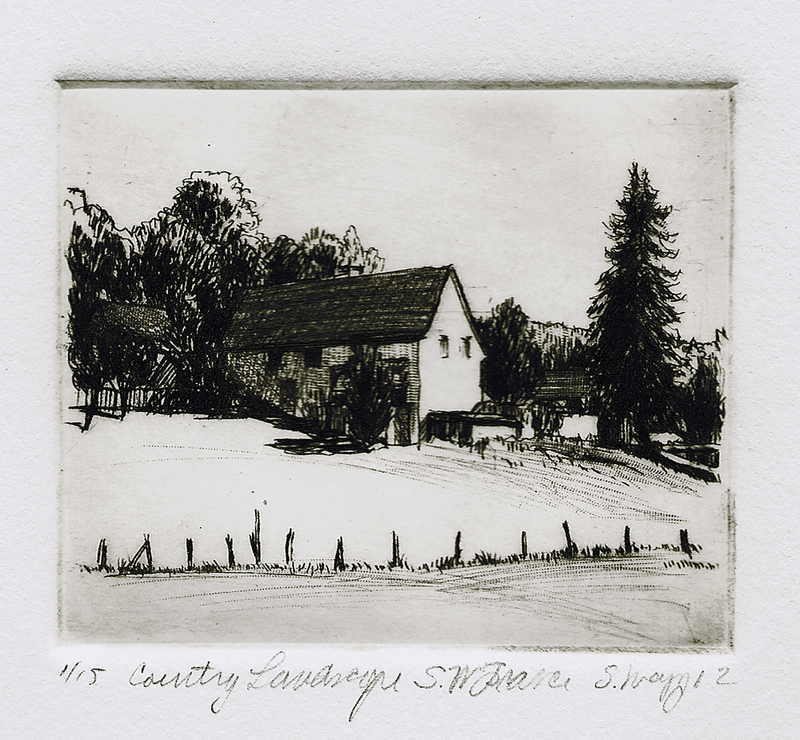 Print #1/15 from a copper plate and raw umber ink hand pulled by me. 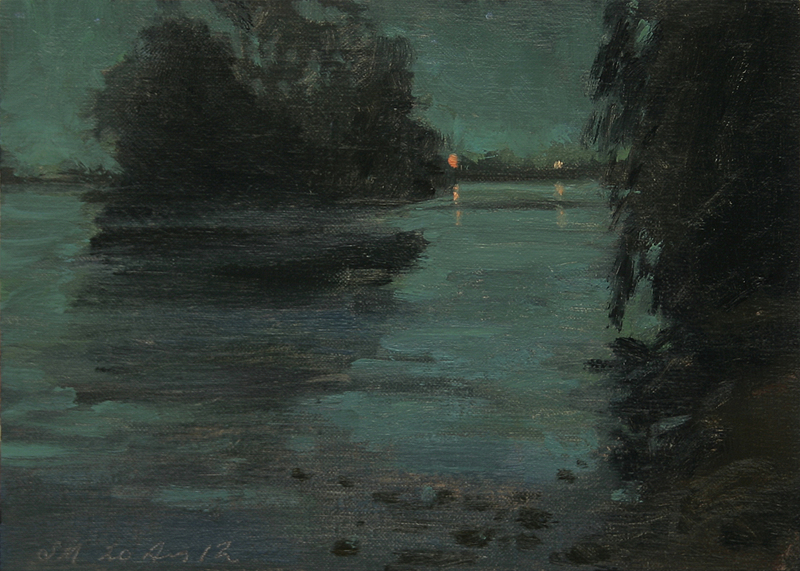 Each print is slightly different, this is the actual image and has a very nice plate tone. 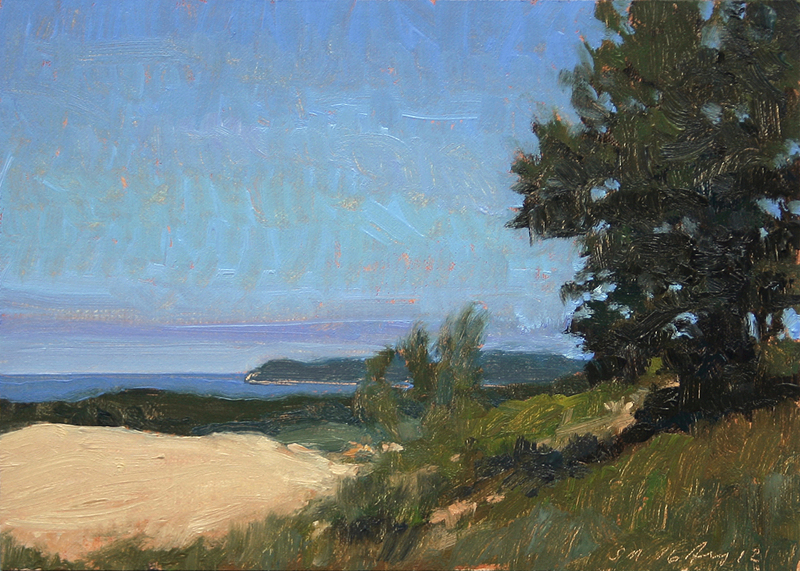 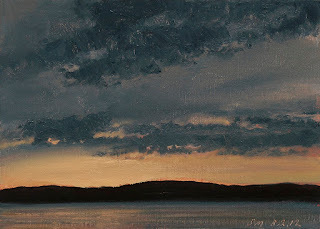 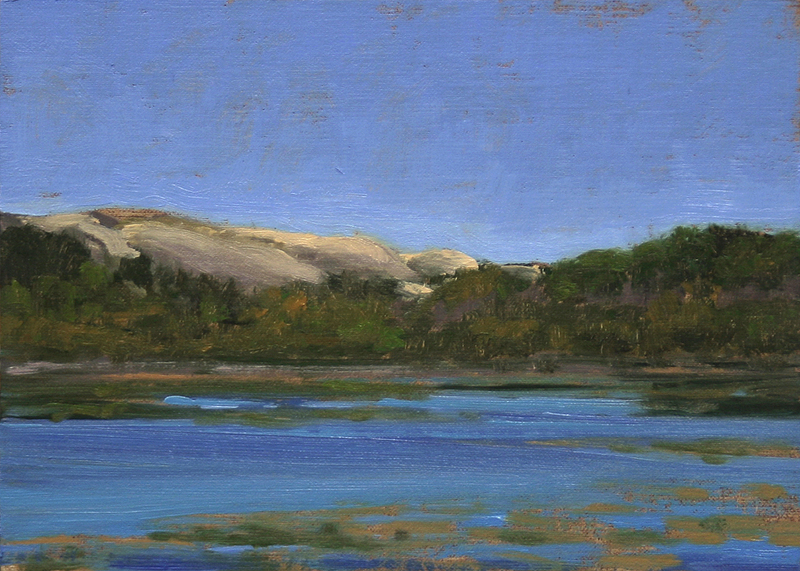 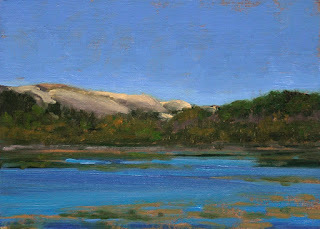 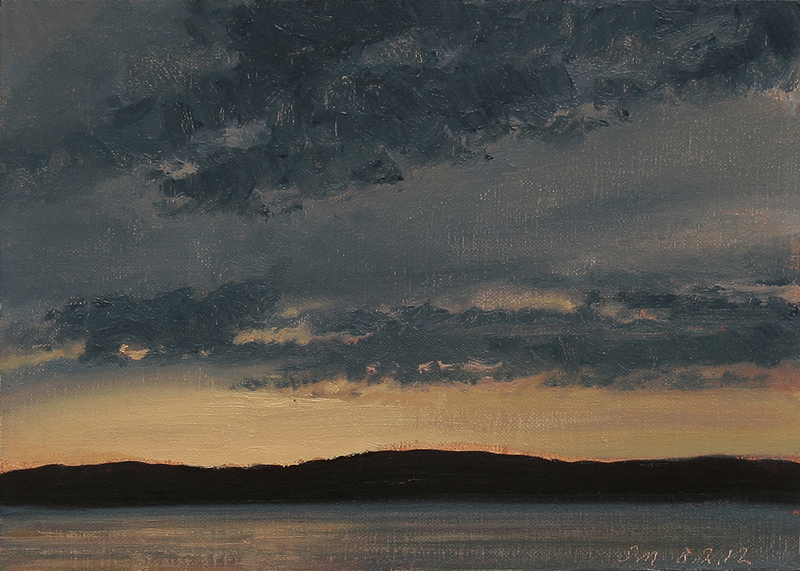 This landscape painting is a nocturne view of beautiful Lake Charlevoix. 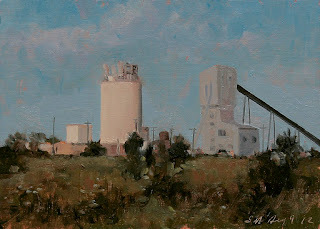 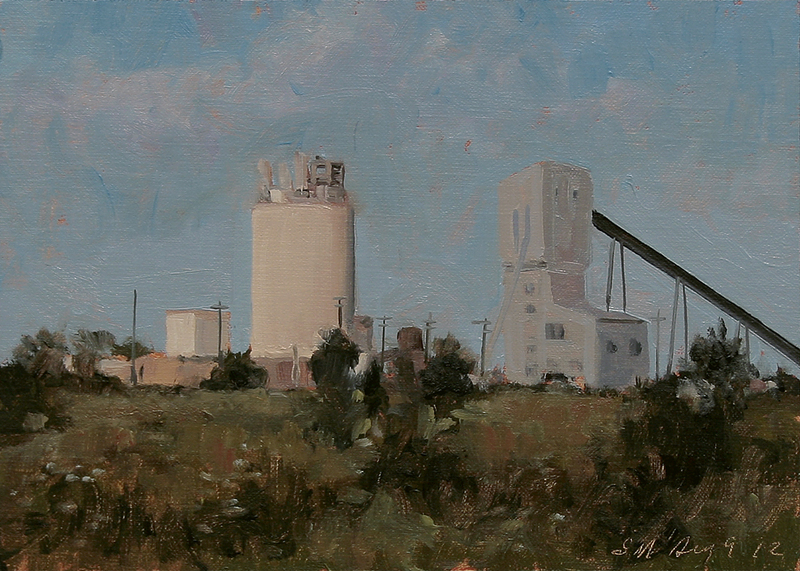 I have finished the larger paintings for the show so will be back posting more small paintings. 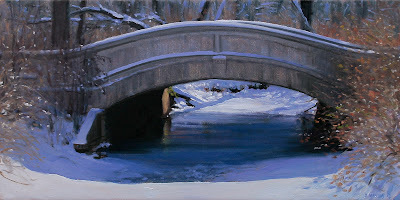 This painting is a view of the Central Ave Bridge over Nashua Creek on Belle Isle Park.. 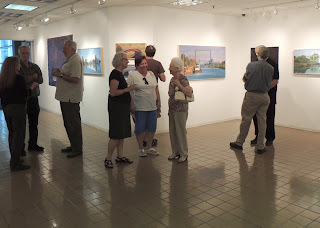 This is a larger view of the study of the same name.